Gamal Abdel Nasser Hussein (15 January 1918 – 28 September 1970) was the second President of Egypt, serving from 1956 until his death. Nasser led the 1952 overthrow of the monarchy and introduced far-reaching land reforms the following year. Following a 1954 attempt on his life by a Muslim Brotherhood member, he cracked down on the organization, put President Muhammad Naguib under house arrest, and assumed executive office, officially becoming president in June 1956. Nasser's popularity in Egypt and the Arab world skyrocketed after his nationalization of the Suez Canal and his political victory in the subsequent Suez Crisis. Calls for pan-Arab unity under his leadership increased, culminating with the formation of the United Arab Republic with Syria (1958–1961). In 1962, Nasser began a series of major socialist measures and modernization reforms in Egypt. Despite setbacks to his pan-Arabist cause, by 1963 Nasser's supporters gained power in several Arab countries, but he became embroiled in the North Yemen Civil War. He began his second presidential term in March 1965 after his political opponents were banned from running. Following Egypt's defeat by Israel in the 1967 Six-Day War, Nasser resigned, but he returned to office after popular demonstrations called for his reinstatement. By 1968, Nasser had appointed himself prime minister, launched the War of Attrition to regain lost territory, began a process of depoliticizing the military, and issued a set of political liberalization reforms. After the conclusion of the 1970 Arab League summit, Nasser suffered a heart attack and died. His funeral in Cairo drew five million mourners and an outpouring of grief across the Arab world. Nasser remains an iconic figure in the Arab world, particularly for his strides towards social justice and Arab unity, modernization policies, and anti-imperialist efforts. His presidency also encouraged and coincided with an Egyptian cultural boom, and launched large industrial projects, including the Aswan Dam and Helwan City. Nasser was greatly influenced by Egyptian nationalism, as espoused by politician Mustafa Kamel, poet Ahmed Shawqi, and his anti-colonialist instructor at the Royal Military Academy, Aziz al-Masri, to whom Nasser expressed his gratitude in a 1961 newspaper interview. 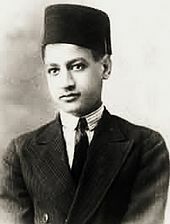 He was especially influenced by Egyptian writer Tawfiq al-Hakim's novel Return of the Spirit, in which al-Hakim wrote that the Egyptian people were only in need of a "man in whom all their feelings and desires will be represented, and who will be for them a symbol of their objective".Nasser later credited the novel as his inspiration to launch the 1952 revolution. Nasser focused on a military career. At the academy, he met Abdel Hakim Amer and Anwar Sadat, both of whom became important aides during his presidency. Nasser and his closest comrades, including Sadat and Amer, discussed their dissatisfaction at widespread corruption in the country and their desire to topple the monarchy. Sadat would later write that because of his "energy, clear-thinking, and balanced judgement", Nasser emerged as the group's natural leader. In 1942, the British Ambassador Miles Lampson marched into King Farouk's palace and ordered him to dismiss Prime Minister Hussein Sirri Pasha for having pro-Axis sympathies. Nasser saw the incident as a blatant violation of Egyptian sovereignty and wrote, "I am ashamed that our army has not reacted against this attack", and wished for "calamity" to overtake the British. Nasser was accepted into the General Staff College later that year. He began to form a group of young military officers with strong nationalist sentiments who supported some form of revolution. On 26 October 1954, Muslim Brotherhood member Mahmoud Abdel-Latif attempted to assassinate Nasser while he was delivering a speech in Alexandria to celebrate the British military withdrawal. 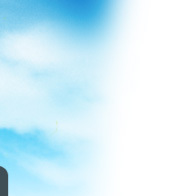 The speech was broadcast to the Arab world via radio. The gunman was 25 feet (7.6 m) away from him and fired eight shots, but all missed Nasser. Panic broke out in the mass audience, but Nasser maintained his posture and raised his voice to appeal for calm. With great emotion he exclaimed the following: My countrymen, my blood spills for you and for Egypt. I will live for your sake and die for the sake of your freedom and honor. Let them kill me; it does not concern me so long as I have instilled pride, honor, and freedom in you. If Gamal Abdel Nasser should die, each of you shall be Gamal Abdel Nasser ... Gamal Abdel Nasser is of you and from you and he is willing to sacrifice his life for the nation. The assassination attempt backfired, quickly playing into Nasser's hands.Upon returning to Cairo, he ordered one of the largest political crackdowns in the modern history of Egypt, with the arrests of thousands of dissenters, mostly members of the Brotherhood, but also communists. With his rivals neutralized, Nasser became the undisputed leader of Egypt. Nasser made secret contacts with Israel in 1954–55, but determined that peace with Israel would be impossible, considering it an "expansionist state that viewed the Arabs with disdain". The Baghdad Pact was formed between some regional allies of the UK. Nasser considered the Baghdad Pact a threat to his efforts to eliminate British military influence in the Middle East, and a mechanism to undermine the Arab League and "perpetuate [Arab] subservience to Zionism and [Western] imperialism".Nasser felt that if he was to maintain Egypt's regional leadership position he needed to acquire modern weaponry to arm his military. When it became apparent to him that Western countries would not supply Egypt under acceptable financial and military terms, Nasser turned to the Eastern Bloc and concluded a US$320,000,000 armaments agreement with Czechoslovakia on 27 September. Through the Czechoslovakian arms deal, the balance of power between Egypt and Israel was more or less equalized and Nasser's role as the Arab leader was obvious. At the Bandung Conference in Indonesia in late April 1955, Nasser was treated as the leading representative of the Arab countries and was one of the most popular figures at the summit. He had paid earlier visits to Pakistan (April 9), India (April 14),Burma, and Afghanistan on the way to Bandung, and previously cemented a treaty of friendship with India in Cairo on 6 April, strengthening Egyptian–Indian relations on the international policy and economic development fronts. In January 1956, the new Constitution of Egypt was drafted, entailing the establishment of a single-party system under the National Union (NU), a movement Nasser described as the "cadre through which we will realize our revolution". The NU was a reconfiguration of the Liberation Rally, which Nasser determined had failed in generating mass public participation. In the new movement, Nasser attempted to incorporate more citizens, approved by local-level party committees, in order to solidify popular backing for his government. The NU would select a nominee for the presidential election whose name would be provided for public approval. Nasser's nomination for the post and the new constitution were put to public referendum on 23 June and each was approved by an overwhelming majority. A 350-member National Assembly was established, elections for which were held in July 1957. Nasser had ultimate approval over all the candidates. The constitution granted women's suffrage, prohibited gender-based discrimination, and entailed special protection for women in the workplace. Coinciding with the new constitution and Nasser's presidency, the RCC dissolved itself and its members resigned their military commissions as part of the transition to civilian rule. During the deliberations surrounding the establishment of a new government, Nasser began a process of sidelining his rivals among the original Free Officers, while elevating his closest allies to high-ranking positions in the cabinet. On 26 July 1956, Nasser gave a speech in Alexandria announcing the nationalization of the Suez Canal Company as a means to fund the Aswan Dam project in light of the British–American withdrawal. In the speech, he denounced British imperialism in Egypt and British control over the canal company's profits, and upheld that the Egyptian people had a right to sovereignty over the waterway, especially since "120,000 Egyptians had died (sic)" building it. The motion was technically in breach of the international agreement he had signed with the UK on 19 October 1954, although he ensured that all existing stockholders would be paid off. France and the UK, the largest shareholders in the Suez Canal Company, saw its nationalization as yet another hostile measure aimed at them by the Egyptian government. Nasser was aware that the canal's nationalization would instigate an international crisis and believed the prospect of military intervention by the two countries was 80 per cent likely. Nasser dismissed their claims, and believed that the UK would not be able to intervene militarily for at least two months after the announcement, and dismissed Israeli action as "impossible". In early October, the UN Security Council met on the matter of the canal's nationalization and adopted a resolution recognizing Egypt's right to control the canal as long as it continued to allow passage through it for foreign ships.According to Heikal, after this agreement, "Nasser estimated that the danger of invasion had dropped to 10 per cent". Shortly thereafter, however, the UK, France, and Israel made a secret agreement to take over the Suez Canal, occupy the Suez Canal zone, and topple Nasser. On 29 October 1956, Israeli forces crossed the Sinai Peninsula, overwhelmed Egyptian army posts, and quickly advanced to their objectives. Two days later, British and French planes bombarded Egyptian airfields in the canal zone. It was at Port Said that Nasser saw a confrontation with the invading forces as being the strategic and psychological focal point of Egypt's defense. The US Eisenhower administration condemned the tripartite invasion, and supported UN resolutions demanding withdrawal and a United Nations Emergency Force (UNEF) to be stationed in Sinai. Nasser commended Eisenhower, stating he played the "greatest and most decisive role" in stopping the "tripartite conspiracy". By the end of December, British and French forces had totally withdrawn from Egyptian territory, while Israel completed its withdrawal in March 1957 and released all Egyptian prisoners of war. By 1957, pan-Arabism had become the dominant ideology in the Arab world, and the average Arab citizen considered Nasser his undisputed leader. Historian Adeed Dawisha credited Nasser's status to his "charisma, bolstered by his perceived victory in the Suez Crisis".The Cairo-based Voice of the Arabs radio station spread Nasser's ideas of united Arab action throughout the Arabic-speaking world, so much so that historian Eugene Rogan wrote, "Nasser conquered the Arab world by radio." Lebanese sympathizers of Nasser and the Egyptian embassy in Beirut—the press center of the Arab world—bought out Lebanese media outlets to further disseminate Nasser's ideals. Egypt also expanded its policy of secondment, dispatching thousands of high-skilled Egyptian professionals (usually politically-active teachers) across the region.Nasser also enjoyed the support of Arab nationalist civilian and paramilitary organizations throughout the region. His followers were numerous and well-funded, but lacked any permanent structure and organization. They called themselves "Nasserites", despite Nasser's objection to the label (he preferred the term "Arab nationalists"). 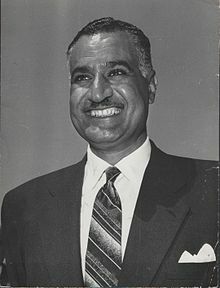 By the end of 1957, Nasser nationalized all remaining British and French assets in Egypt, including the tobacco, cement, pharmaceutical, and phosphate industries.When efforts to offer tax incentives and attract outside investments yielded no tangible results, he nationalized more companies and made them a part of his economic development organization.He stopped short of total government control: two-thirds of the economy was still in private hands. 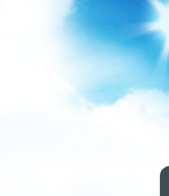 This effort achieved a measure of success, with increased agricultural production and investment in industrialization. Nasser initiated the Helwan steelworks, which subsequently became Egypt's largest enterprise, providing the country with product and tens of thousands of jobs. Nasser also decided to cooperate with the Soviet Union in the construction of the Aswan Dam to replace the withdrawal of US funds. Despite his popularity with the people of the Arab world, by mid-1957 his only regional ally was Syria. In September, Turkish troops massed along the Syrian border, giving credence to rumors that the Baghdad Pact countries were attempting to topple Syria's leftist government. Nasser sent a contingent force to Syria as a symbolic display of solidarity, further elevating his prestige in the Arab world, and particularly among Syrians. As political instability grew in Syria, delegations from the country were sent to Nasser demanding immediate unification with Egypt.Nasser initially turned down the request, citing the two countries' incompatible political and economic systems, lack of contiguity, the Syrian military's record of intervention in politics, and the deep factionalism among Syria's political forces. 1958, the United Arab Republic (UAR) was proclaimed and, according to Dawisha, the Arab world reacted in "stunned amazement, which quickly turned into uncontrolled euphoria." Nasser ordered a crackdown against Syrian communists, dismissing many of them from their governmental posts. While Nasser was in Syria, King Saud planned to have him assassinated on his return flight to Cairo. On 4 March, Nasser addressed the masses in Damascus and waved before them the Saudi check given to Syrian security chief and, unbeknownst to the Saudis, ardent Nasser supporter Abdel Hamid Sarraj to shoot down Nasser's plane. As a consequence of Saud's plot, he was forced by senior members of the Saudi royal family to informally cede most of his powers to his brother, King Faisal, a major Nasser opponent who advocated pan-Islamic unity over pan-Arabism. On 28 September 1961, secessionist army units launched a coup in Damascus, declaring Syria's secession from the UAR. In response, pro-union army units in northern Syria revolted and pro-Nasser protests occurred in major Syrian cities. Nasser sent Egyptian special forces to Latakia to bolster his allies, but withdrew them two days later, citing a refusal to allow inter-Arab fighting. Addressing the UAR's breakup on 5 October, Nasser accepted personal responsibility and declared that Egypt would recognize an elected Syrian government. He privately blamed interference by hostile Arab governments. According to Heikal, Nasser suffered something resembling a nervous breakdown after the dissolution of the union; he began to smoke more heavily and his health began to deteriorate. On 14 March, the new Iraqi and Syrian governments sent Nasser delegations to push for a new Arab union. At the meeting, Nasser lambasted the Ba'athists for "facilitating" Syria's split from the UAR, and asserted that he was the "leader of the Arabs". A transitional unity agreement stipulating a federal system was signed by the parties on 17 April and the new union was set to be established in May 1965. However, the agreement fell apart weeks later when Syria's Ba'athists purged Nasser's supporters from the officers corps. 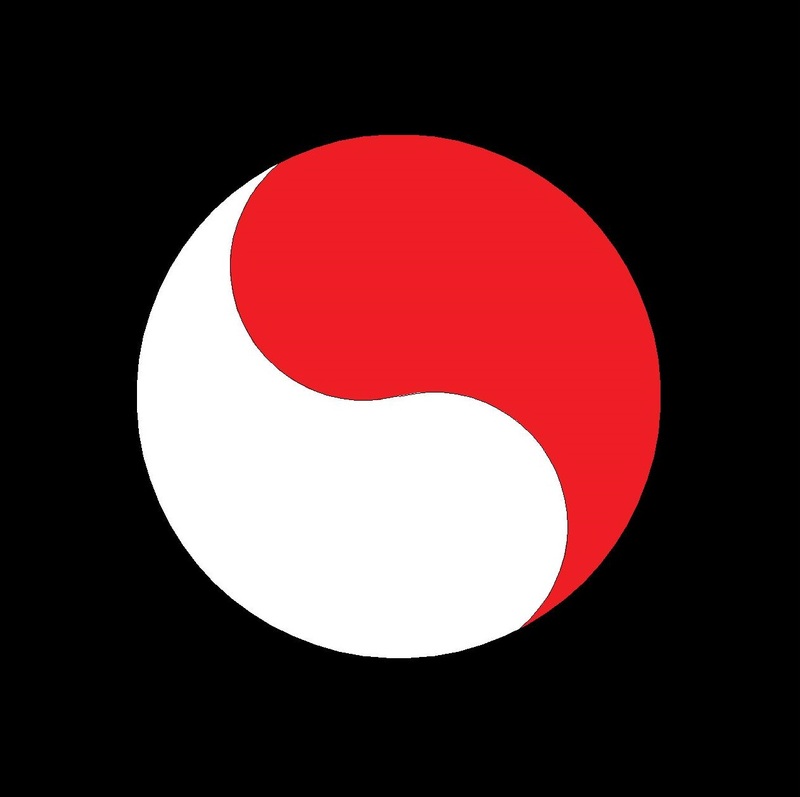 After years of foreign policy coordination and developing ties, Nasser, President Sukarno of Indonesia, President Tito of Yugoslavia, and Prime Minister Nehru of India founded the Non-Aligned Movement (NAM) in 1961. 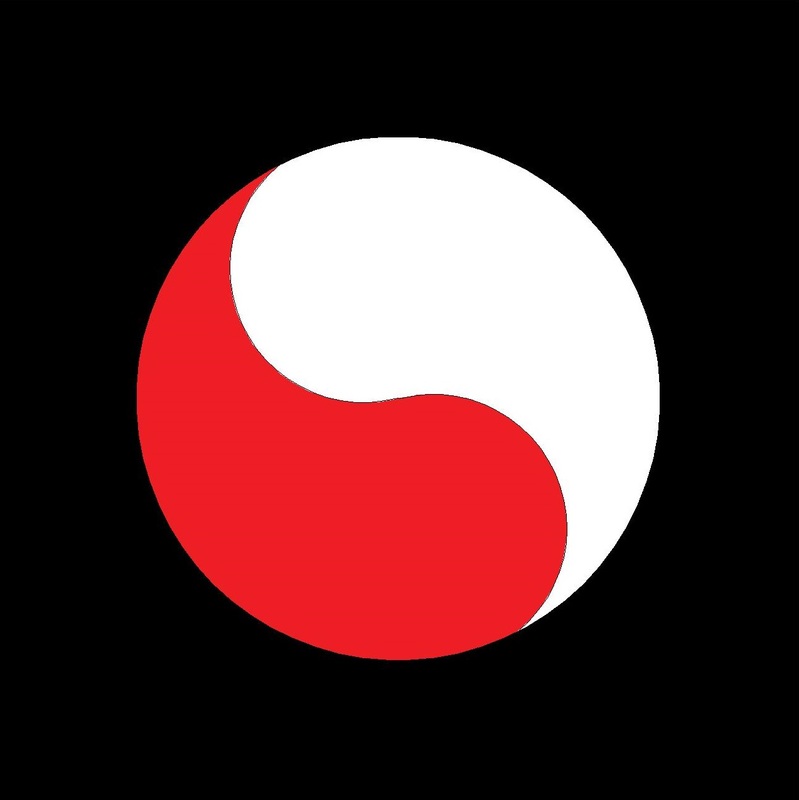 Its declared purpose was to solidify international non-alignment and promote world peace amid the Cold War, end colonization, and increase economic cooperation among developing countries. 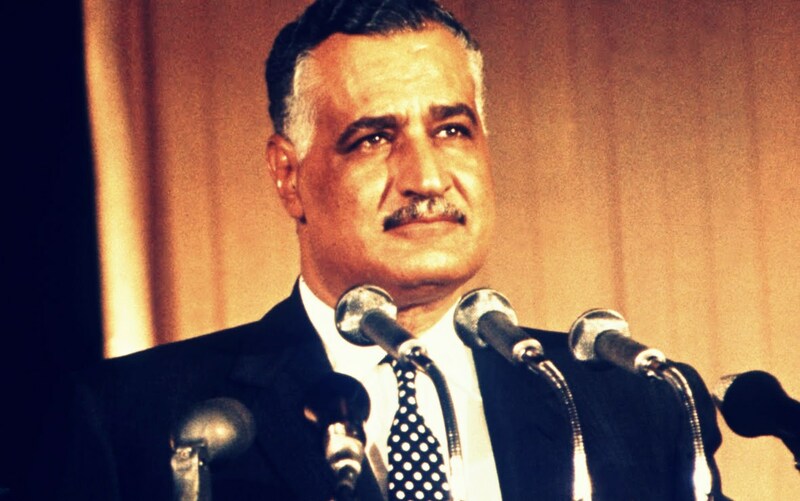 In 1964, Nasser was made president of the NAM and held the second conference of the organization in Cairo. Nasser played a significant part in the strengthening of African solidarity in the late 1950s and early 1960s, although his continental leadership role had increasingly passed to Algeria since 1962. [ During this period, Nasser made Egypt a refuge for anti-colonial leaders from several African countries and allowed the broadcast of anti-colonial propaganda from Cairo. Beginning in 1958, Nasser had a key role in the discussions among African leaders that led to the establishment of the Organisation of African Unity (OAU) in 1963. The 6-day War. In mid May 1967, the Soviet Union issued warnings to Nasser of an impending Israeli attack on Syria. On the morning of 5 June, the Israeli Air Force struck Egyptian air fields, destroying much of the Egyptian Air Force. Before the day ended, Israeli armored units had cut through Egyptian defense lines and captured the town of el-Arish.The next day, Amer ordered the immediate withdrawal of Egyptian troops from Sinai—causing the majority of Egyptian casualties during the war. Israel quickly captured Sinai and the Gaza Strip from Egypt, the West Bank from Jordan, and the Golan Heights from Syria. 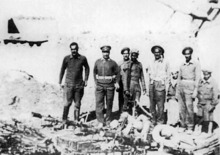 According to Sadat, it was only when the Israelis cut off the Egyptian garrison at Sharm el-Sheikh that Nasser became aware of the situation's gravity.After hearing of the attack, he rushed to army headquarters to inquire about the military situation. During the first four days of the war, the general population of the Arab world believed Arab radio station fabrications of imminent Arab victory. On 9 June, Nasser appeared on television to inform Egypt's citizens of their country's defeat. He announced his resignation on television later that day, and ceded all presidential powers. Hundreds of thousands of sympathizers poured into the streets in mass demonstrations throughout Egypt and across the Arab world rejecting his resignation, chanting, "We are your soldiers, Gamal! "Nasser retracted his decision the next day. Nasser replaced Amer with Mohamed Fawzi as general commander, over the protestations of Amer's loyalists in the military, 600 of whom marched on army headquarters and demanded Amer's reinstatement. After Nasser sacked thirty of the loyalists in response, Amer and his allies devised a plan to topple him on 27 August. Nasser was tipped off about their activities and, after several invitations, he convinced Amer to meet him at his home on 24 August. Nasser confronted Amer about the coup plot, which he denied before being arrested by Mohieddin. Amer committed suicide on 14 September.Despite his souring relationship with Amer, Nasser spoke of losing "the person closest to [him]". Nasser appointed himself the additional roles of prime minister and supreme commander of the armed forces on 19 June 1967. Angry at the military court's perceived leniency with air force officers charged with negligence during the 1967 war, workers and students launched protests calling for major political reforms in late February 1968. Nasser responded to the demonstrations, the most significant public challenge to his rule since workers' protests in March 1954, by removing most military figures from his cabinet and appointing eight civilians in place of several high-ranking members of the Arab Socialist Union (ASU). Nasser appointed Sadat and Hussein el-Shafei as his vice presidents in December 1969. Meanwhile, in January 1968, Nasser commenced the War of Attrition to reclaim territory captured by Israel, ordering attacks against Israeli positions east of the then-blockaded Suez Canal. In March, Nasser offered Yasser Arafat's Fatah movement arms and funds after their performance against Israeli forces in the Battle of Karameh that month. He also advised Arafat to think of peace with Israel and the establishment of a Palestinian state comprising the West Bank and the Gaza Strip. Nasser effectively ceded his leadership of the "Palestine issue" to Arafat. Israel retaliated against Egyptian shelling with commando raids, artillery shelling and air strikes. This resulted in an exodus of civilians from Egyptian cities along the Suez Canal's western bank. Nasser ceased all military activities and began a program to build a network of internal defenses, while receiving the financial backing of various Arab states. The war resumed in March 1969. In November, Nasser brokered an agreement between the PLO and the Lebanese military that granted Palestinian guerrillas the right to use Lebanese territory to attack Israel. In June 1970, Nasser accepted the US-sponsored Rogers Plan, which called for an end to hostilities and an Israeli withdrawal from Egyptian territory, but it was rejected by Israel, the PLO, and most Arab states except Jordan. Nasser had initially rejected the plan, but conceded under pressure from the Soviet Union, which feared that escalating regional conflict could drag it into a war with the US. He also determined that a ceasefire could serve as a tactical step toward the strategic goal of recapturing the Suez Canal. As the summit closed on 28 September 1970, hours after escorting the last Arab leader to leave, Nasser suffered a heart attack. He had previously suffered heart attacks in 1966 and September 1969. Nasser made Egypt fully independent of British influence, and the country became a major power in the developing world under his leadership. One of Nasser's main domestic efforts was to establish social justice, which he deemed a prerequisite to liberal democracy. During his presidency, ordinary citizens enjoyed unprecedented access to housing, education, jobs, health services and nourishment, as well as other forms of social welfare, while feudalistic influence waned. By the end of his presidency, employment and working conditions improved considerably, although poverty was still high in the country and substantial resources allocated for social welfare had been diverted to the war effort. Gamal Abdel Nasser laughing at the Muslim Brotherhood for suggesting in 1953 that women should be required to wear the hijab and that Islamic law should be enforced across the country.